Hooray for the last day of March! We’re super excited for the change of seasons, and, judging from what Pinterest shows us, our customers are excited for warm weather, too. Here’s our list of the products most pinned for the month — our Pinteresting Picks for March. This Designer kit and 50-Ct. Chalk set brings back memories of hours on the sidewalk and days inside crafting. 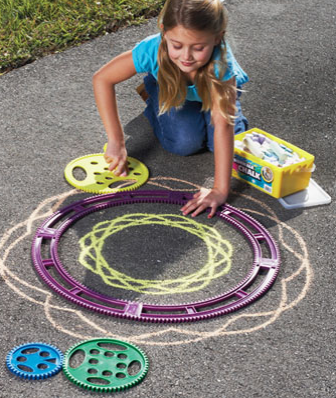 The Magic Art™ Spiral Sidewalk Design Kit lets kids go beyond the hum-drum hopscotch to create amazing designs on the concrete on the backyard patio or in the front on the driveway. The wheel stencils help create clever patterns that will keep kids occupied for hours on sunny days. The Bucket of Chalk features thick bright sticks of pink, yellow, blue, green, orange, purple and white all in a plastic tub. Here’s a new twist on the vertical garden — the Tipsy Tower Plant Stand is an easy and creative way to give height to your garden using your own planters. It works by sliding the down the bar at an angle, allowing each pot to rest slightly on the one below it, creating a fun, gravity-defying look. 4-Ft. tower can be used in 4 different configurations as the upright tower rod is actually 2 pieces. 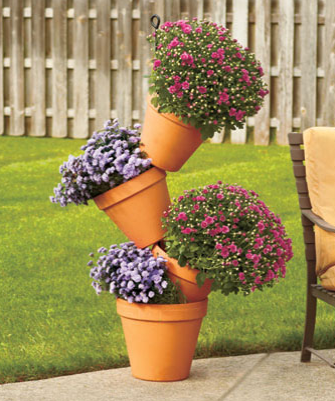 It’s designed to accommodate 4 or more pots. 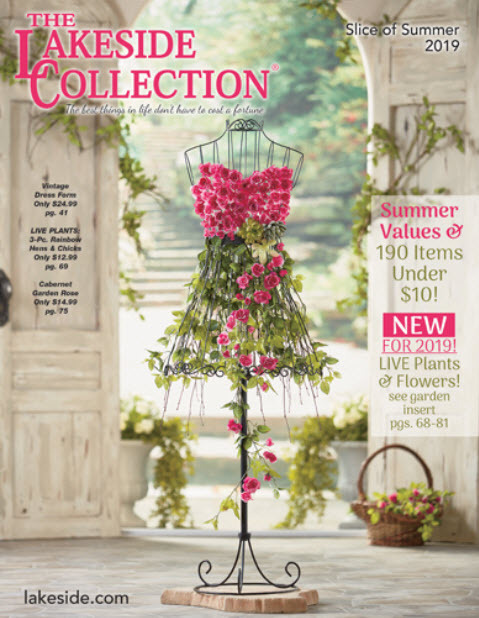 2-Ft. tower can be used in 2 different configurations and is designed to accommodate 3 to 5 pots. 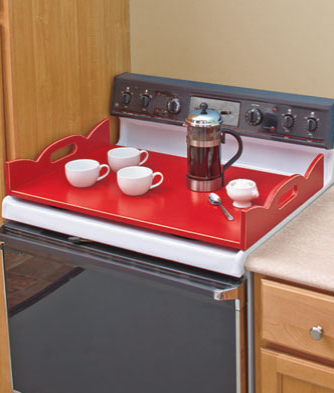 With warm weather on the horizon, there won’t be as much use for the stove top this summer — but the space shouldn’t go to waste! This Wooden Stove Top Cover goes right over the burners giving you more surface area for working with food, cookbooks or whatever you don’t have room for on your counter tops. It’s easy to take off and put back on using the handles. 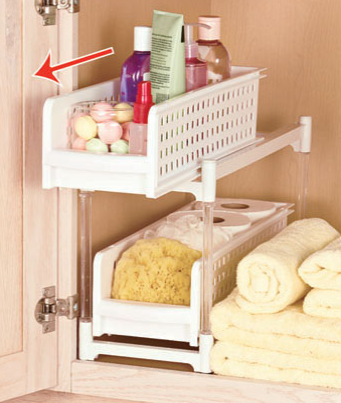 Everyone has spring cleaning on the brain and one of our more popular Pinteresting Picks helps keep the bathroom tidy. 2-shelf Sliding Bathroom Storage unit makes use of space by adding a shelf to your cabinet while also making access easy by allowing you to slide the shelves in and out as you need. It lets you add more stuff without adding to the clutter.